RealFlight is an excellent flight simulator and recently I ran into one of the most common problems with the transmitter.. The connection keeps being lost then magically re-appearing. I've read about this many times before and surprised it hasn't happen sooner. People have posted all kinds of weird fixes but if I think that it took over 4 years of abuse before finally breaking then replacing the entire cable and such as others do is not really required. You can see that I have removed an entire segment of wire directly from the area where it goes of the top of the transmitter casing. It is here the wire is subjected to the most stress, bending around various directions and so it is here where 99.99% of the time the break in the line occurs. By simply opening control panel devices where the transmitter should be listed with other connected devices I began moving the wire around working from one end to the other. Sure enough right around the top is where the signal flicked on and off like a Christmas tree. I just re-soldered the 4 cables inside back to the same colours using heat shrink piping to insulate and then wrapped it with electrical tape to full up the width so when the transmitter goes back together it has a good hold on the wire. Note to use the original excess inside which wraps around a screw tower post. This extra slack is there just in case the cable gets yanked hard and instead of pulling contacts of the PCB inside it will lock up on the post. 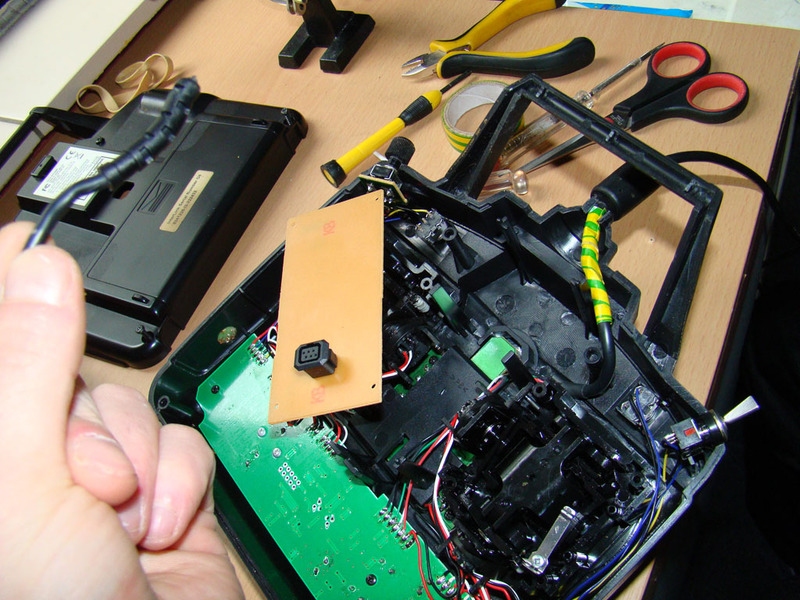 Put it all back together and enjoy using your transmitter for years to come. Of course if the wire does get bad enough then you can always Ebay or such a nice long USB extension cable and cannibalise it in place of the transmitter cable.